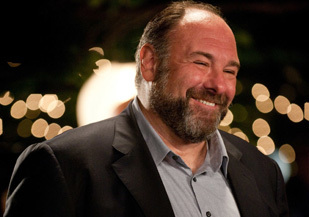 It’s tough for Enough Said to escape its headline-snatching status as one of the late actor James Gandolfini’s final films. That would be true no matter what the movie looked like, but it’s even more prominent given the beautiful, touching performance Gandolfini offers. If nothing else, Enough Said is a tribute to his rarified talent — and a sad reminder of how much more he had to offer. His talents are matched, in a pleasant surprise, by Julia Louis-Dreyfus in the lead role. Louis-Dreyfus’ considerable comedic talents are well-established; she is the only woman to win three acting Emmys for three different roles, all certainly deserved. But the dramatic range on display in Enough Said is something much different than Elaine Benes or Selina Meyer; it’s heartening to see that Louis-Dreyfus is still very much in the prime of her career. The story is less a yarn and more a set of circumstances: Eva (Louis-Dreyfus) is a divorced masseuse preparing to send her only child (Tracey Fairaway) to college. She’s guarded, set in her ways and mostly ambition-free when she meets Albert (Gandolfini), who has a divorce and a college-bound daughter (Eve Hewson) of his own.